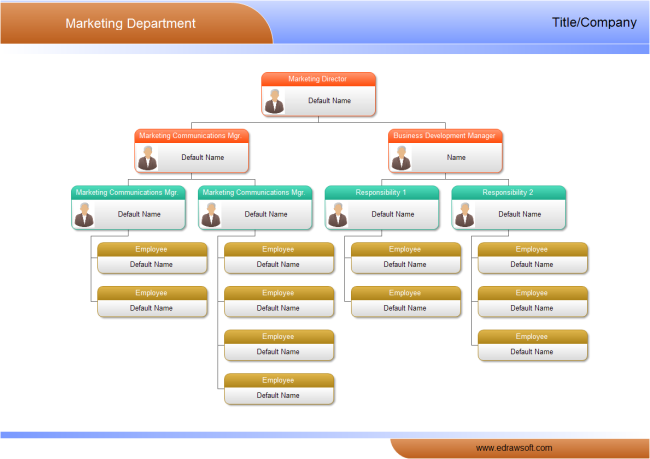 Organizational chart is a good tool to chart the organization structure. 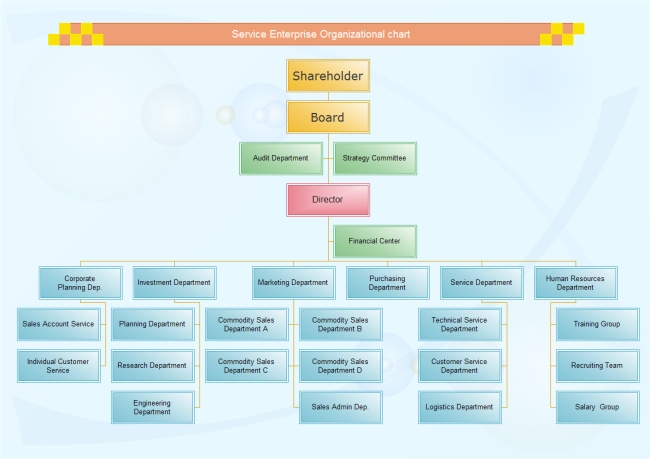 Organizational chart helps build and design the organization structure to meet the business' objectives. 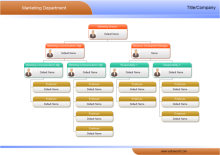 Organizational chart can guide the employees to know their rights and responsibilities. 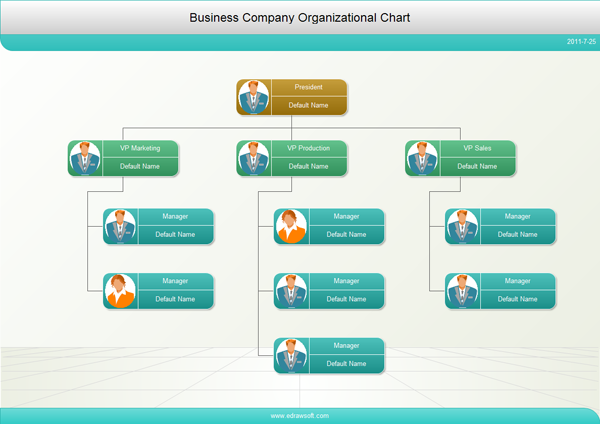 Organizational chart help divide the functions of a company, enterprise or department. It also shows the relationships between the organization's staff members. 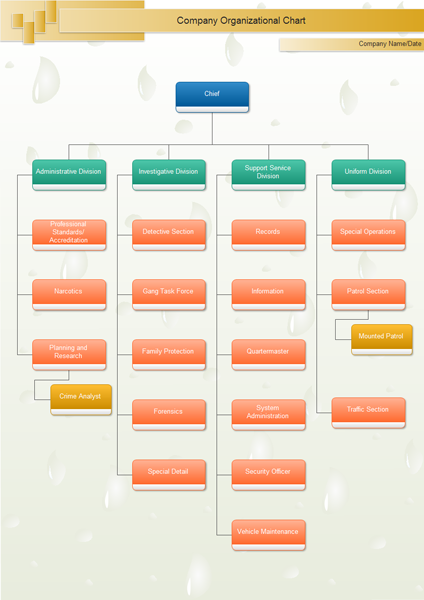 With organizational chart, it's easy to find whether the officer's workload is too heavy. It's easy to find whether the unrelated persons undertake the work of several loose, no relationship. Find out whether an employee is incompetent in this work at important positions. Make everyone clear within their organizations and improve employee performance. Other departments are also able to understand and enhance the coordination of the organization. It's easy to see the promotion channels open. 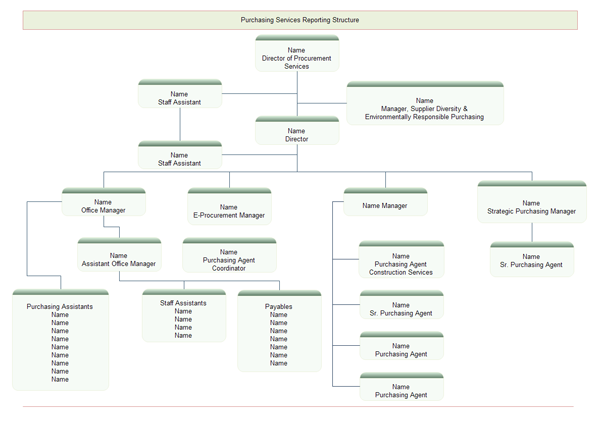 Some managers can use the organizational chart tool to analysis budget, design work team and generate reports. 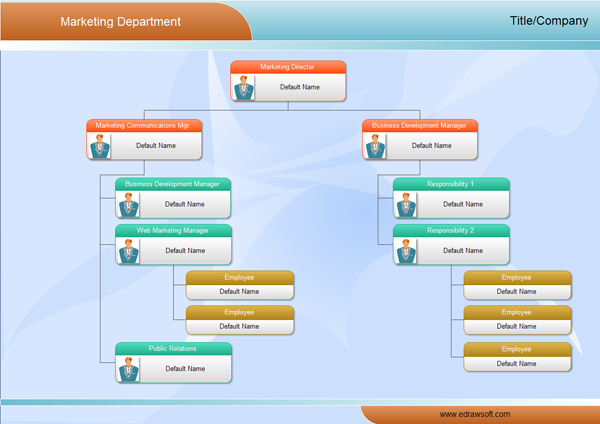 Organizational chart often outline employee tasks and which manager is responsible for overseeing each employee. Here is an example to demonstrate how amazing it is. The above mentioned bonuses of org charts are all from the perspective of business management; they can also bring more benefits in other fields. For example, it offers a paperless office strategy which is environmentally friendly by saving more paper. At the same time, electronic document means more convenient access of employee information, enabling human resources manager to view it anytime anywhere. 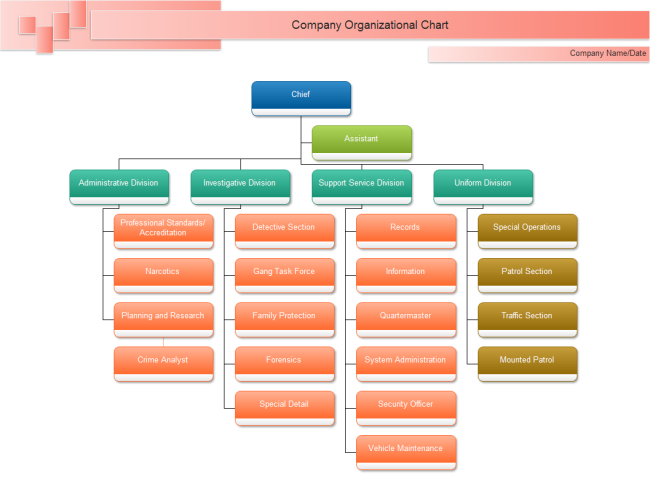 More org chart templates are listed below for your reference. You can click on the thumbnails to enlarge and download them.